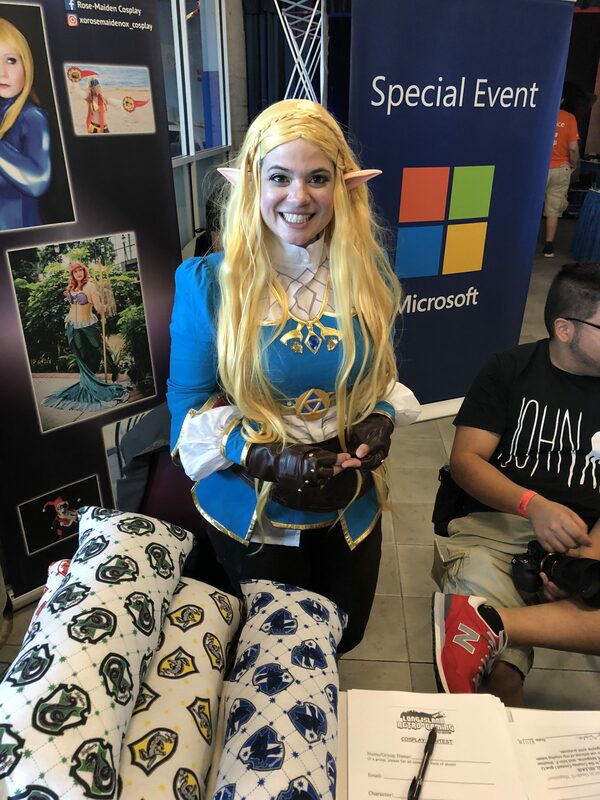 Long Island Retro Gaming Expo 2018: Cosplay! 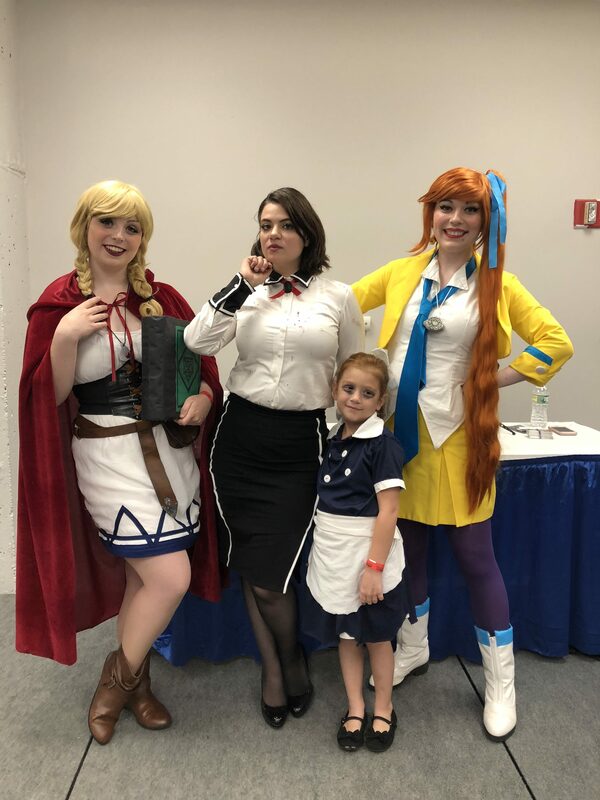 The Long Island Retro Gaming Expo may not be a cosplay destination in the same way that say, Anime Expo is. 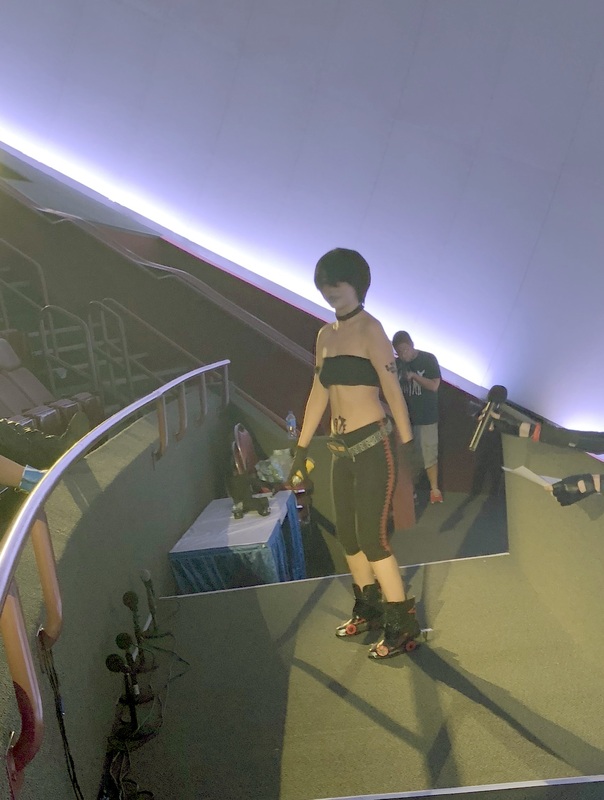 That said, there was some pretty impressive cosplay on display, and even the simpler costumes shined when their wearers went all-out with roleplaying. 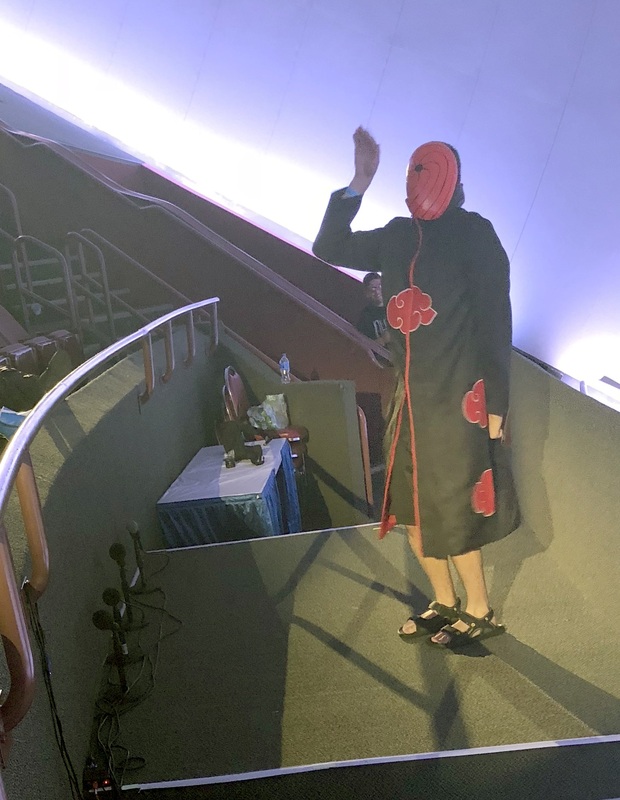 Since it was a gaming convention, obviously most of the characters depicted were from games, but there were also some costumes from anime and films. There was even a roving gang of Star Wars cosplayers, but I never got a good picture of them because they only seemed to show up when I was a)eating a sandwich or b)in the bathroom. No one literally said, “You just missed them; the elusive Star Wars cosplayers!” but that was kind of how it felt. 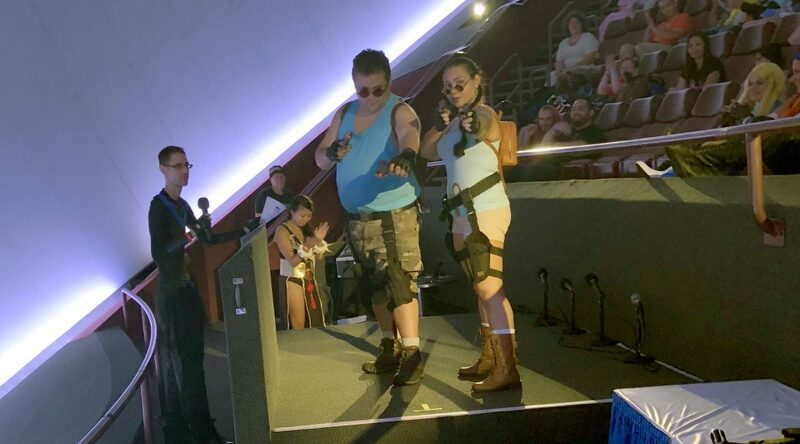 I hope that was the only group cosplay that I missed; if I find out there was a Final Fantasy VII troop somewhere that I just never ran into, I’m going to be upset. 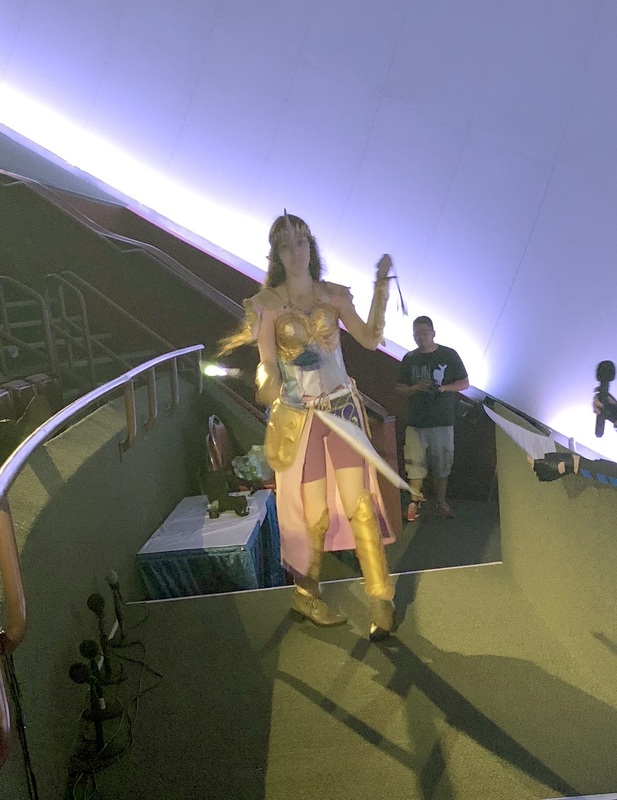 A note on lighting: The Expo holds its cosplay contest in the Planetarium, which is a really cool venue in general, but it doesn’t have the best lighting for photography. I took a lot of these photos during the contest, meaning the photos are a bit dark. I’ve done my best to compensate, but there’s a limit to what I can do. Geek-E Magazine sponsors the cosplay contest, and they had a professional photographer taking pictures, so better pics will be available through them at some point. Let’s start with a character close to my heart, a gorgeous Lara Croft. 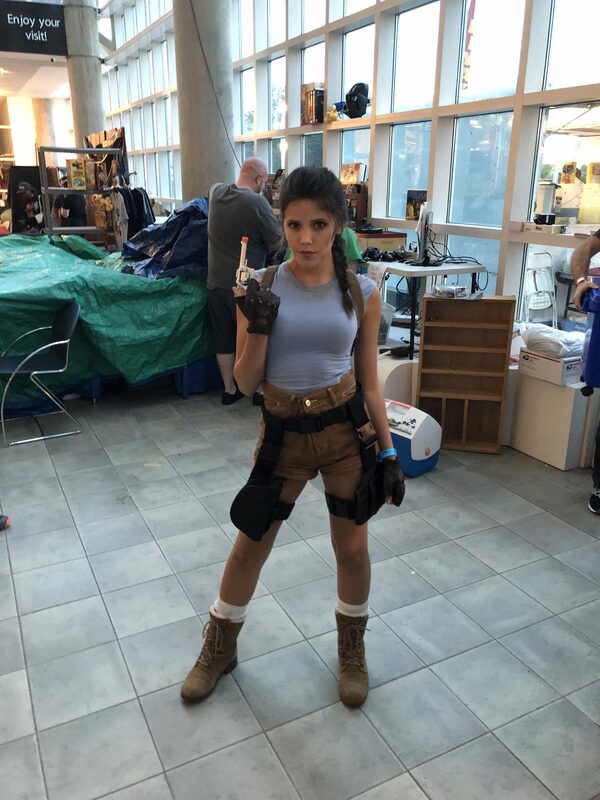 Man, I want to cosplay as Lara Croft now…maybe next year. Of course, if I was going to do that, I should have probably done it before I cut off nearly all my hair. Maybe I can cosplay Dora the Explorer in the meantime? The only Star Wars cosplayer I was able to track down. Was he part of the roving gang of Star Wars people, or an independent agent? Not sure. 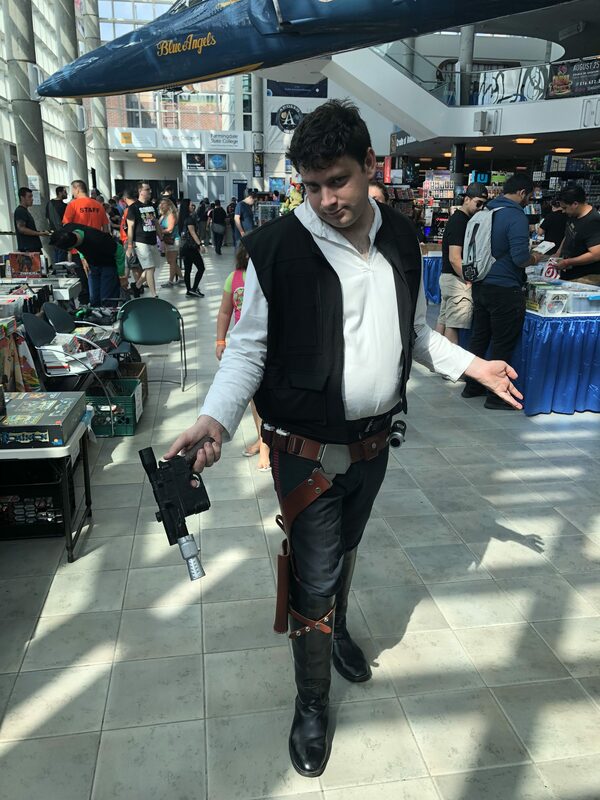 I should have tried to follow him and see if he’d lead me to the Jedi or whoever, but I’m pretty sure that would have violated the con’s no-stalking rules…. A great Street Fighter group cosplay; so glad I caught these guys on my way out. 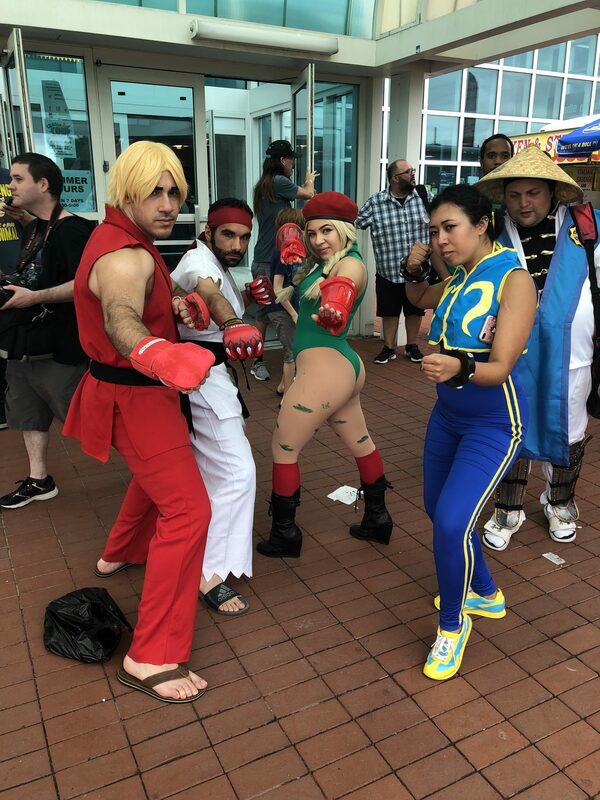 Sadly, there was no group of X-Men cosplayers for them to fight with; I’ll have to wait for next year in the hopes of seeing an X-Men vs. Street Fighter reenactment. But it’s possible! Keep hope alive! 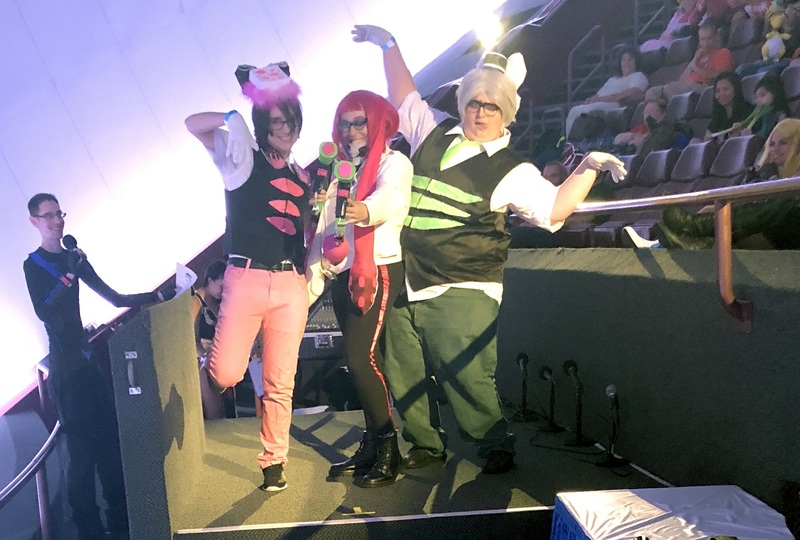 The judges for the Kids Cosplay contest. I didn’t take pics of the kids for the most part (as a parent, I feel weird about it), but this Little Sister from Bioshock 2 crept in there. I’m going to level with you, I have no idea what’s going on here. 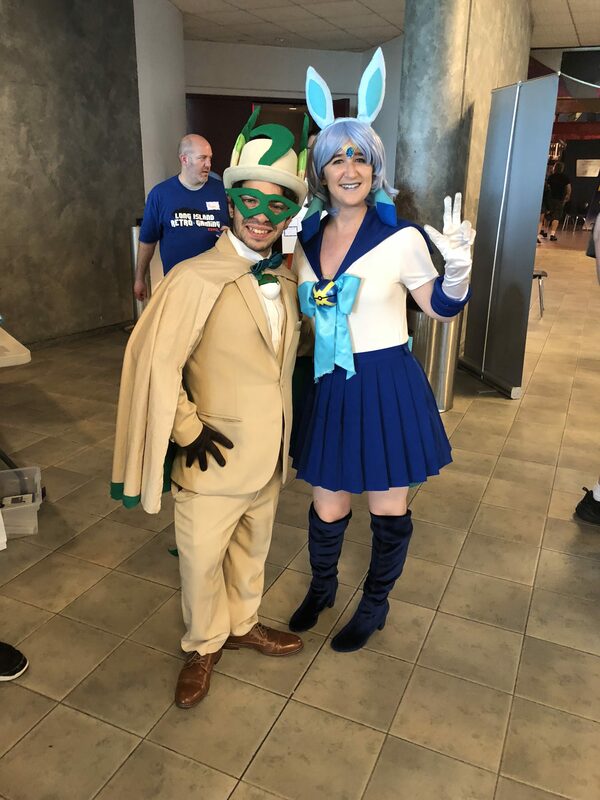 Bunny Sailor Mercury hanging out with…The Riddler? Not a clue. Why didn’t it occur to me to ask them while I was taking the picture? I am an AWARD-WINNING journalist goshdarnit, you’d think I’d know better than to embarrass myself like this. Awesome Breath of the Wild Zelda. 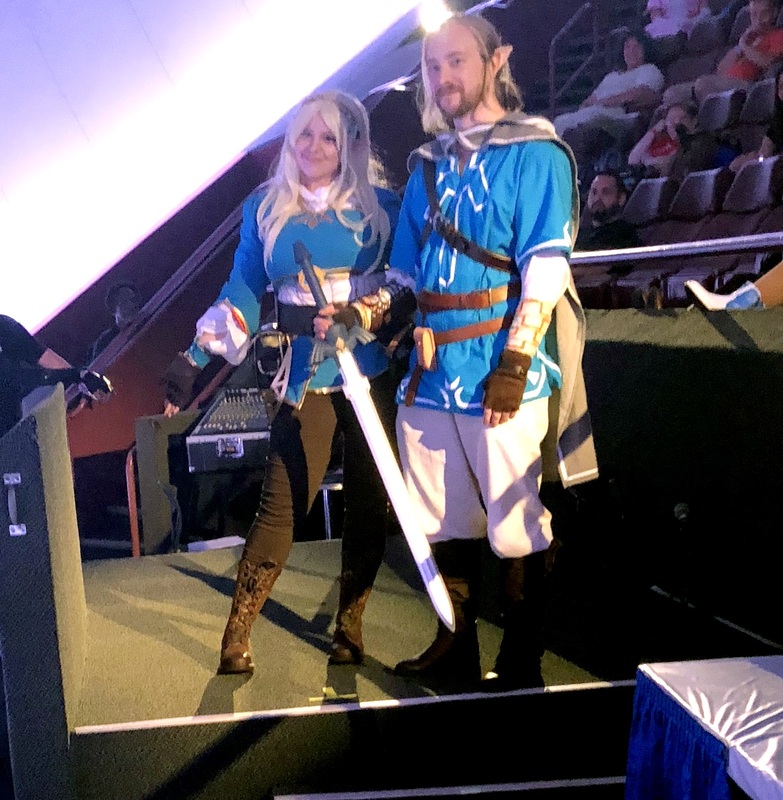 Not to be confused with the Hyrule Warriors version of Zelda, who was also in attendance. It’s almost like this Zelda series is popular or something. 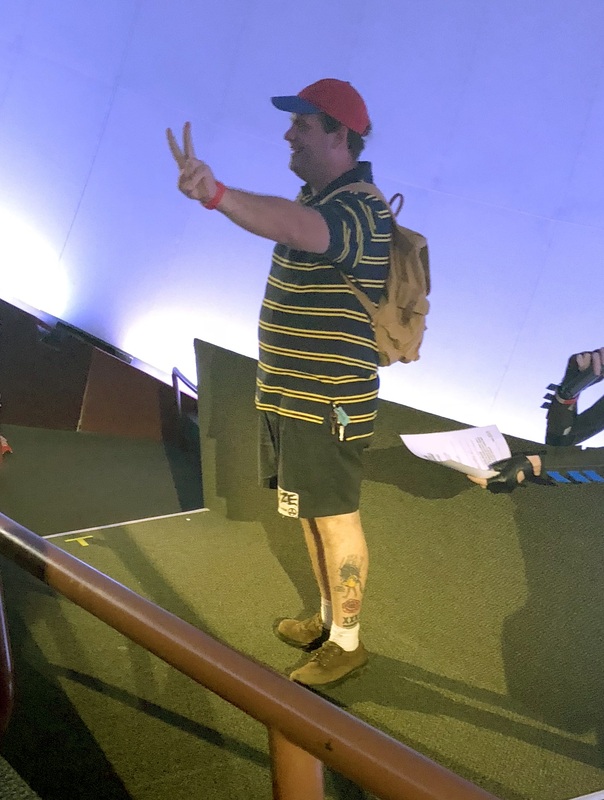 Ness from Earthbound. I’ve really gotta play that game one of these years…. This costume is of a Clow Card from Card Captor Sakura, but I’ve been looking for a while and I can’t figure out which card it is. It sound like she said the “Fate” card, but I can’t find any reference to a Fate Clow Card on CCSak sites. Any Sakura superfans able to help me out here? Your friendly neighborhood Tobi from Naruto. Hyrule Warriors Zelda. It’s a shame I couldn’t get a better picture, because this was an awesome costume. She won Best in Show. Cube from Jet Set Radio Future. Love the skates! 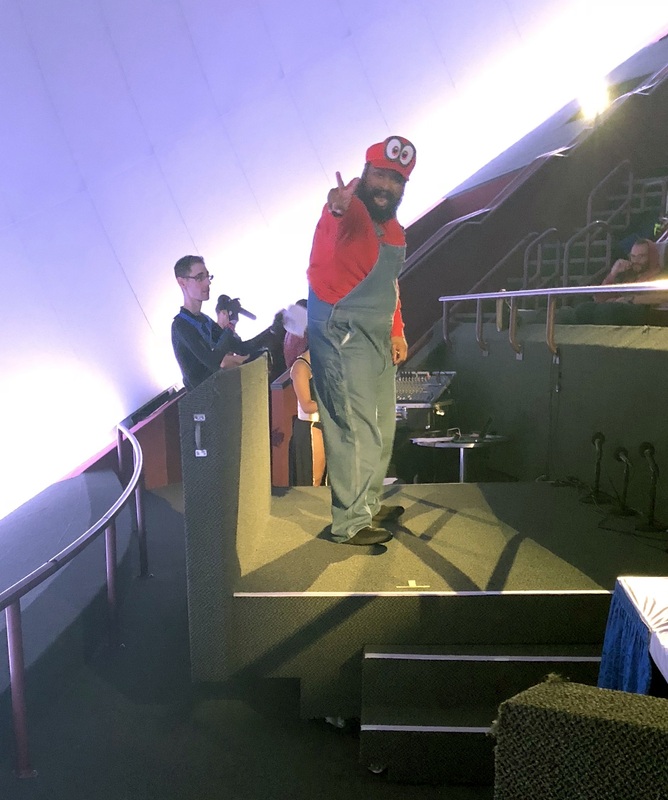 Finally, a Mario! Worth the wait. 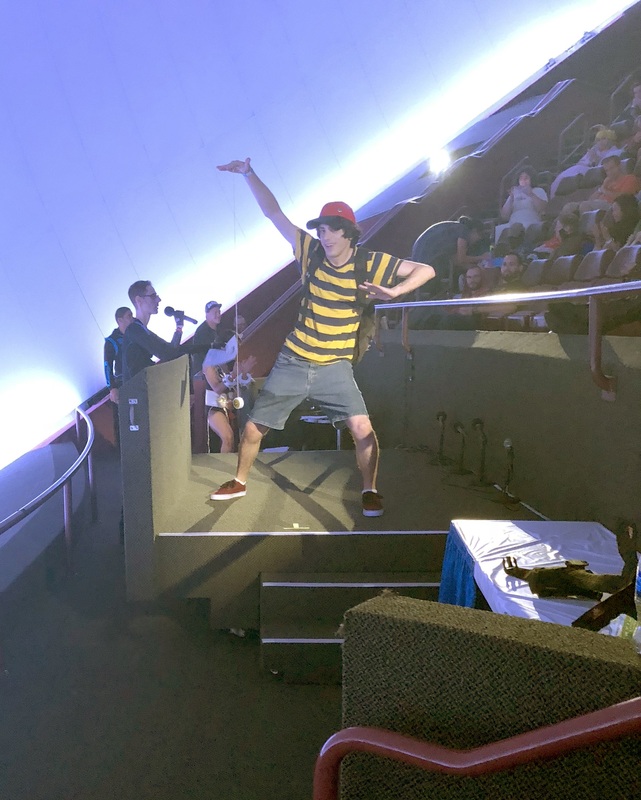 It’s another Ness from Earthbound. Uh, I really need to play that game…. The Squid Sisters from Splatoon. 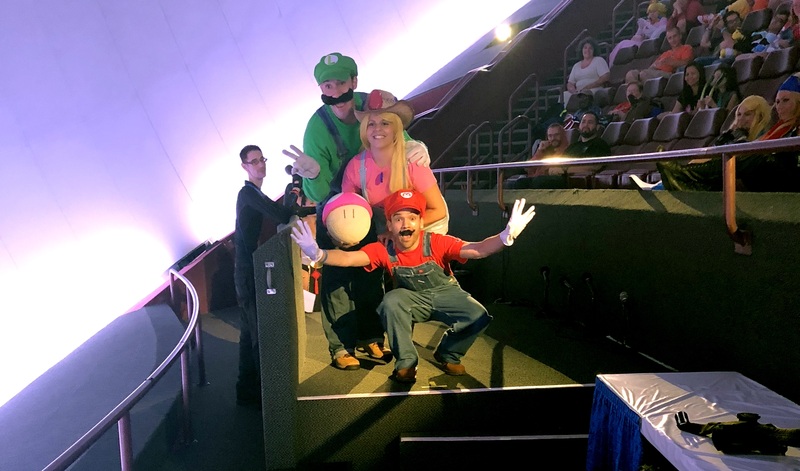 Awww, it’s an entire Mario family! I’ve never seen Peach in a cowboy hat before, but I’m sure that comes from somewhere. 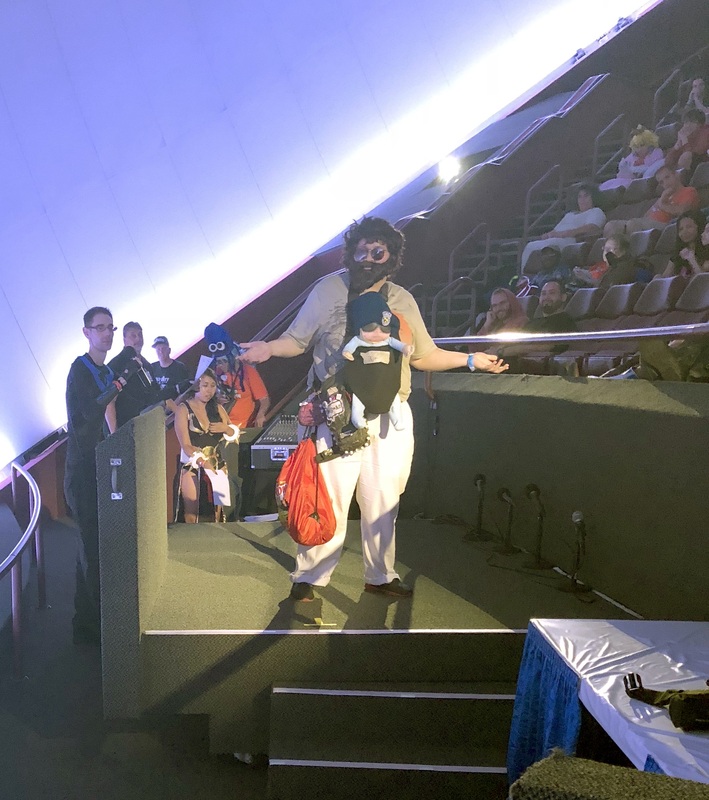 Their performance was hilarious; they split the Best Group Cosplay trophy with the Splatoon group. 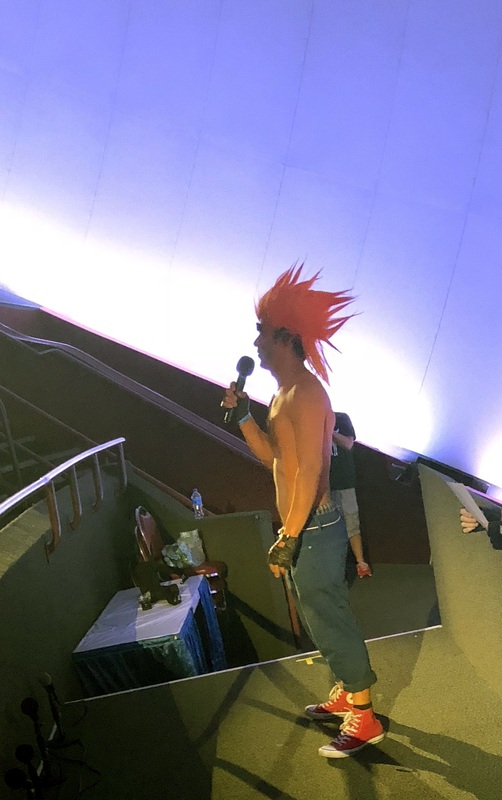 This is a cosplay from the movie The Hangover 2. I haven’t seen the movie, so I have no idea what’s going on here, but it looks like a really good attempt at…at…at a costume. Way to think out of the box there, friend. A lovely Princess Peach. 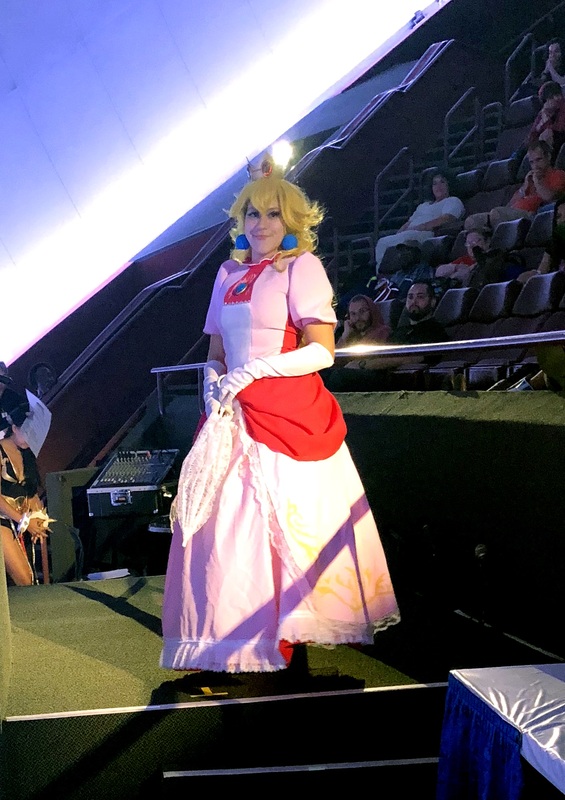 Not that I have anything against “casual Peach” above, but this is what I think of when I think of the Princess of the Mushroom Kingdom. This cosplay won the Best Craftsmanship award. 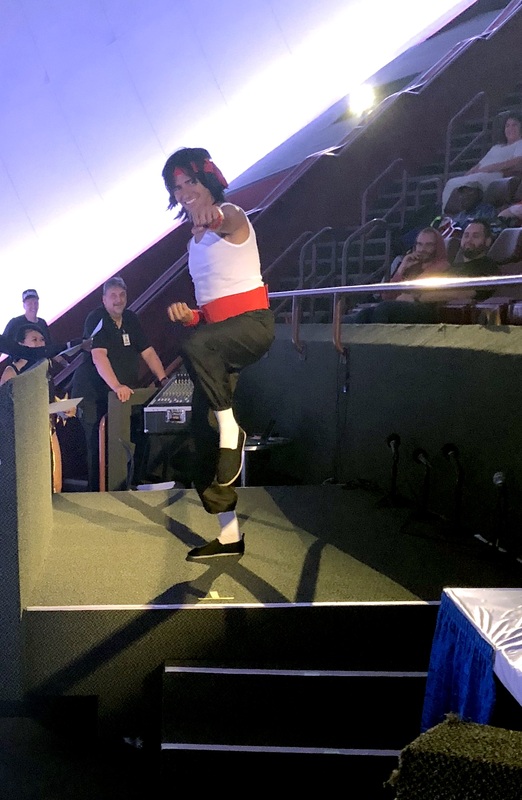 Liu Kang from Mortal Kombat. He did not do any huge acrobatics (which are against con policy anyway), but he did a nice routine featuring Kang’s trademark kicks. I wonder: did he have a violent confrontation with the Street Fighter team above? The mind boggles. Remember Breath of the Wild Zelda from alllll the way back at the beginning? She found herself a Link! Okay, obviously these two came together, but I like the idea that they just randomly found each other at the convention. Then it was love at first sight. Thank you to all the cosplayers for allowing me to photograph you. 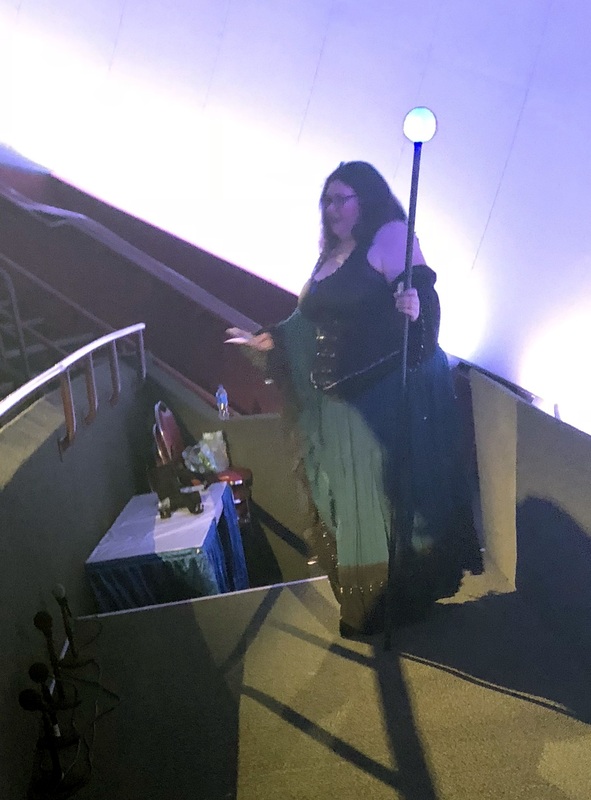 To those cosplayers at LIRGE that I missed (and I know there were some), my apologies; I was trying to get as many of you as possible, but I’m only one person and can’t be everywhere at once. I’ll probably be dressed as Dora the Explorer next year, so if I missed you this time around, you know where to look to get your picture taken. Keep in mind I’m in my 30s though, if you see an age-appropriate Dora the Explorer cosplay, that is an actual child and you should probably leave them alone.